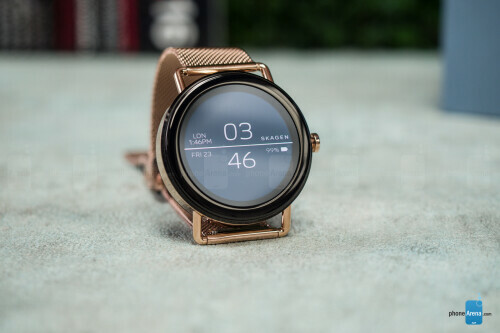 Skagen is a company known for making watches that have a clean, Scandinavian design and that carry an affordable price and offer great value for the money. While it is Scandinavian in origin, it is owned by watch giant Fossil since 2012, and it now has its design headquarters in Richardson, Texas (it also has an HQ in China and Europe). The Skagen Falster is the first true smartwatch by the company. 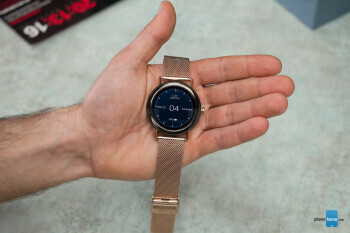 It gave hybrid smartwatches a try with the Skagen Hagen line that featured a built-in step counter and a few clever features, but the new Falster is running on the new Google Wear OS (formerly, Android Wear), has an always-on display and is operated by a true touchscreen. 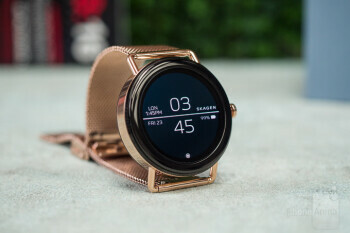 So how good of a smartwatch is the new Skagen Falster? And can it compete against the popular Apple Watch and Samsung Gear series? Let’s find out. 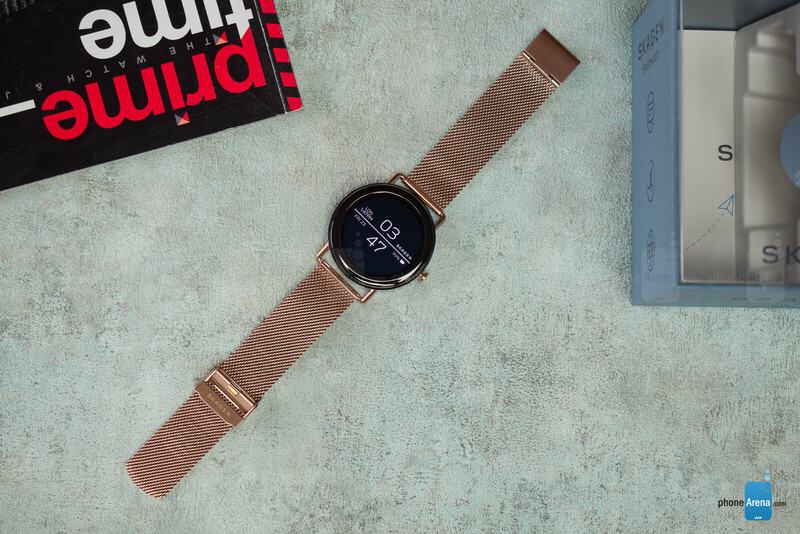 The Falster is a round smartwatch and it is very comfortable to wear. This is crucial. I have lived with other watches that felt just slightly inconvenient to wear at first and after time this feeling only intensifies until one day you decide that the comfort alone is a reason to stop wearing that watch. So far, the Falster passes that test. 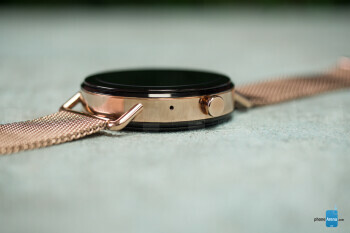 But while the Falster goes for an elegant watch in smartwatch terms, it still may feel a bit too big and bulky. The case is 12mm thick but it is flat and there are no curves, so it actually feels a bit thicker than other watches with a similar thickness. The watchface is 42mm in size, which is quite a universal size that would fit well different wrists, for both men and many women. There are no other sizes to pick from, so if you have any doubts about the proper fit, we recommend first trying the watch out at a physical store. What we can say is that on yours truly’s tiny wrist, the watch does not look too big (if you have those concerns). You have the crown on the right side of the watch and it feels very squishy and not quite right in terms of feedback when you press it, but you get used to it after a few presses. You cannot rotate like on an Apple Watch, you can only press it: a regular press to go into your apps or back home, and a long press to start the Google Assistant. There is no rotating bezel, nor any other fancy control trick: all the navigation goes through the touchscreen. We find this a bit disappointing, especially for those considering switching to this watch from a Samsung or an Apple Watch. Then, there are the bands. All of them use the 20mm standard and the quality is superb. 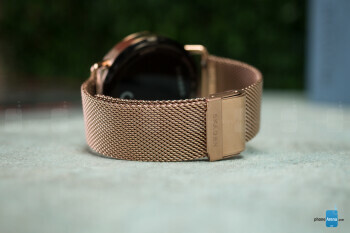 We’ve got the steel mesh strap, which is the most expensive one, yet still it costs pennies compared to what Apple charges for its bands: the silver mesh costs $40, while the black and gold ones go for $50. You also have a leather band in different colors, all of which priced at $35, a nylon NATO strap for $25, and standard silicon and nylon straps for $20 to $25. At those prices, the quality that you get is outstanding. 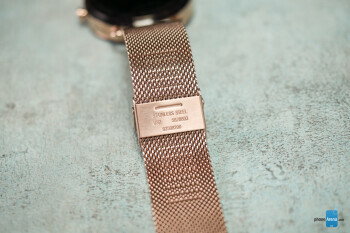 Keep in mind that these bands are mechanical: there are no fancy magnetic straps and to adjust some of the bands like the steel mesh, you would need to use a tiny screw driver to move the clasp. If you have worn a regular watch before, this would be common knowledge, and if you haven’t, there is no need to worry: it’s all extremely easy to learn and the mechanism is reliable. Okay, enough about the looks of the Skagen Falster. Let’s see what it can actually do! Or rather, let’s start with what it cannot do because this watch does not have many of the features that others in its price range do have. 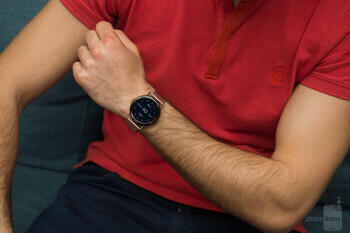 These four are basically considered the key power features of a modern smartwatch: no GPS means no detailed tracking of runs, nor any mapping services; no heart-rate monitor means no detailed activity or sports tracking; no NFC means no mobile payments; and finally, no cellular connectivity means that you need to be tethered to your phone. Well, everything else, of course. My personal experience is that those advanced features are not something that I actually require of a smartphone, so missing them was not such a huge loss. First and foremost, you can get all of your notifications, which is very convenient. The experience is still not quite perfect: when someone sent us a number of messages on Facebook Messenger, only the last one got transmitted properly and the others simply never arrived to the watch. You also have the option to reply to messages. You can dictate a reply by voice, you can choose an emoji or you can use an awful, extremely tiny and nearly impossible to use keyboard. We don’t recommend ever using the keyboard, but if you really, really need to type something, the option is there. 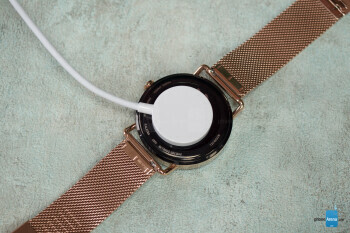 The Falster will also show incoming calls, but despite its built-in microphone, you cannot actually take a call on the watch and accepting a call on the watch will actually automatically start it on the _phone_ (which is a bit strange and confusing in its own right, you can just take the call on your _phone_ if you want to). 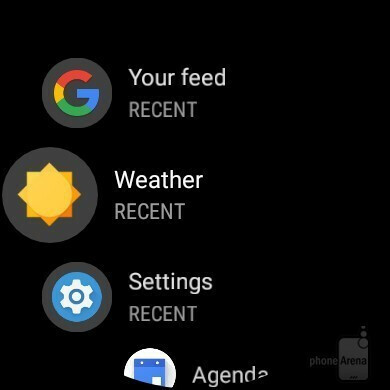 In terms of watchfaces, the choice of pre-installed ones is very limited and you need to go on the Play Store and download new ones, which is a bit of a hassle that could have been avoided. The good thing about having this watch run on Google’s Wear OS is that you actually have some usable apps. The bad news is that they are still watch apps and their functionality is very limited. It still seems that apps on a smartwatch are rarely used and it makes sense just having a set of great core applications. Such ones pre-loaded on the Falster are the Google Weather app (good accuracy and good performance, but a bit limited in data) and Google Fit that shows your sports and activity. We wanted to spare a second to talk about the Google Assistant because we feel that it is absolutely transformative to the smartwatch experience. The Google Assistant is positively the fastest and most impressive voice interface out there. It recognizes every accent with extreme accuracy, it is quick, reliable and absolute wonder to have. Okay, we might sound a bit too excited, but that is because the Google Assistant is just so much better than any other thing out there. Setting reminders, calendar events, timers, sending messages, checking the weather, asking questions about general facts guarantees great results. Unfortunately, for no apparent reason, the Google Assistant cannot control Spotify music playback and cannot do a few other things on the watch. Real-life impressions tell us that you get one day of battery life on the Falster. And by one day, we mean that if you wake up early in the morning and go back home late at night, you will either have your watch in the single digits or completely dead. Now, the Skagen Falster features an always-on display that contributes a lot to this drain, so it’s understandable, but we still wish it lasted longer. If you want to maximize battery life, disabling the always-on screen is the one step that will help the most. In comparison, the popular Samsung Gear smartwatches typically last 2 to 3 days, while the Apple Watch lasts one day, but finishes it with more juice than the Falster, and also does considerably more. In terms of charging, you have a tiny magnetic charger that looks a bit flimsy, but actually does a fine job. In case you were wondering, it costs $25 if you need to buy a replacement, about on par with what you pay for other smartwatch chargers. Charging times, however, are very slow. You really need to leave your watch to charge the whole night, if you try to top it up during the day, you will not get much battery. For about 2 hours of charging, it only got from 0 to 57%. With all this in mind, let’s talk price. 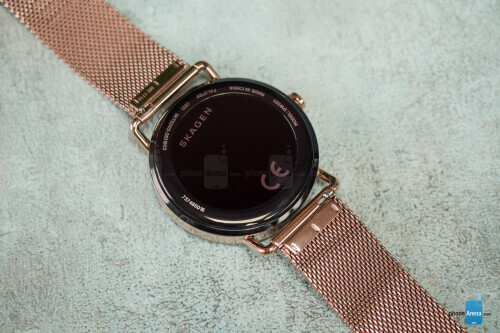 The Skagen Falster is actually quite pricey for the basic smartwatch that it is: the steel-mesh version that we used costs $295, while the leather one goes for $275. As you can see, all of these are watches with a lot more functionality that are offered for about the same, or even a lower price. 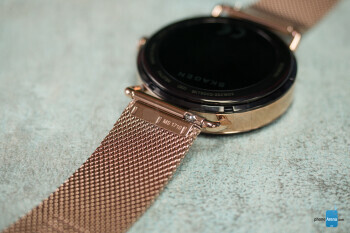 What was Skagen thinking? 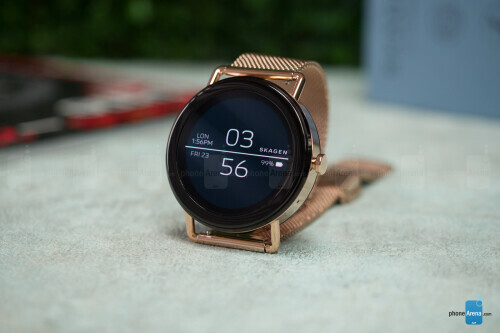 Now, if you don’t mind the price tag and want a good-looking smartwatch that wears comfortable, has a reliable voice assistant and has an always-on display option, the Falster is one good fit. Yours truly will actually keep on wearing it for a few days after the review to see whether it will stick. The takeaway: it’s a hesitant thumbs-up for the Falster.